The post-launch news conference for Northrop Grumman’s 11th NASA-contracted commercial resupply mission has concluded. NASA’s commercial partner Northrop Grumman launched its Antares rocket carrying its Cygnus cargo spacecraft bound for the International Space Station at 4:46 p.m. EDT Wednesday, April 17. Liftoff was from Virginia Space’s Mid-Atlantic Regional Spaceport Pad-0A at NASA’s Wallops Flight Facility on the state’s Eastern Shore. 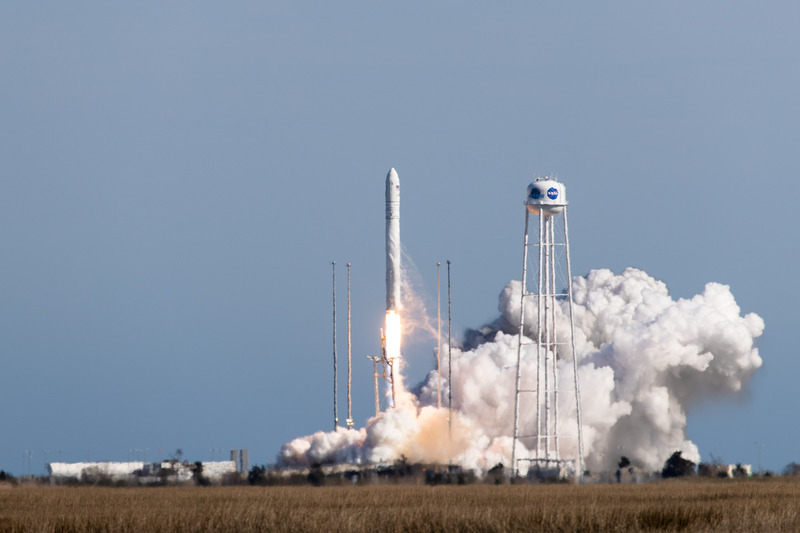 The Cygnus will arrive at the International Space Station Friday morning carrying about 7,600 pounds of research investigations and equipment, cargo and supplies that will support some of the hundreds of investigations aboard the orbiting laboratory. The Cygnus spacecraft will be attached to the bottom of the station’s Unity module, where it will remain for about three months. Among the science investigations: testing gels in microgravity as models for growing increasingly complex materials, a new tool to conduct life sciences research with just a few drops of blood, exploring Vascular Aging and the effects of weightlessness on the blood vessels and heart, examining the effects of spaceflight on the function of antibody production, and immune memory, demonstrating the first two of three Astrobee robots, and a technology that tests a method to remove carbon dioxide from air aboard the orbiting outpost. 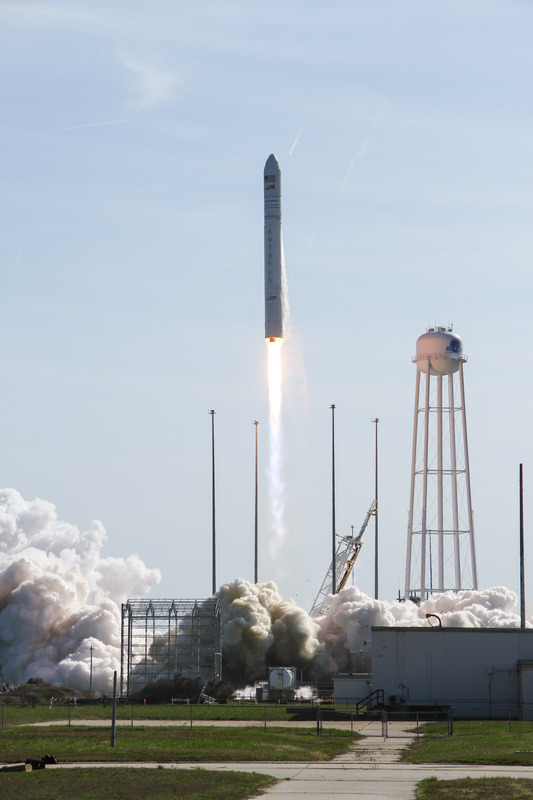 Northrop Grumman’s Cygnus cargo spacecraft lifted off aboard an Antares rocket from NASA’s Wallops Flight Facility on Virginia’s Eastern Shore at 4:46 p.m. EDT April 17. 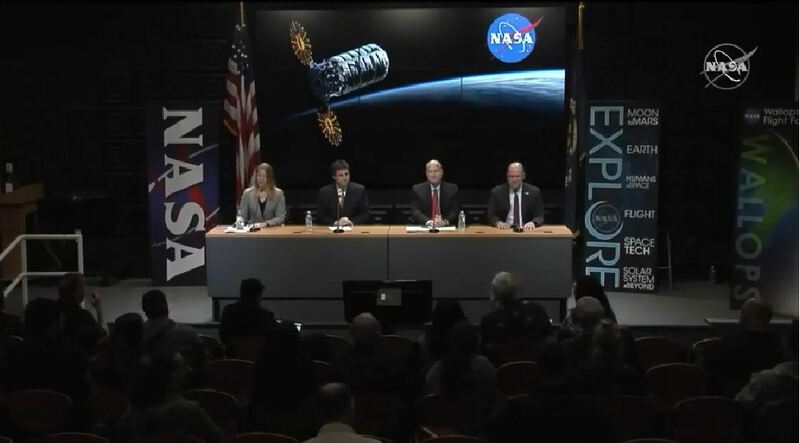 NASA Television has resumed live coverage for a post-launch press conference. 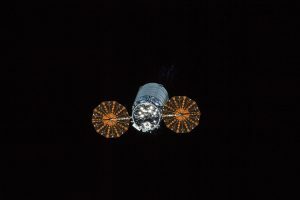 Flight controllers have confirmed that the Cygnus spacecraft’s solar arrays have deployed and are providing power. Northrop Grumman’s Cygnus cargo spacecraft lifted off on the company’s Antares rocket from NASA’s Wallops Flight Facility on Virginia’s Eastern Shore at 4:46 p.m. EDT April 17, 2019. 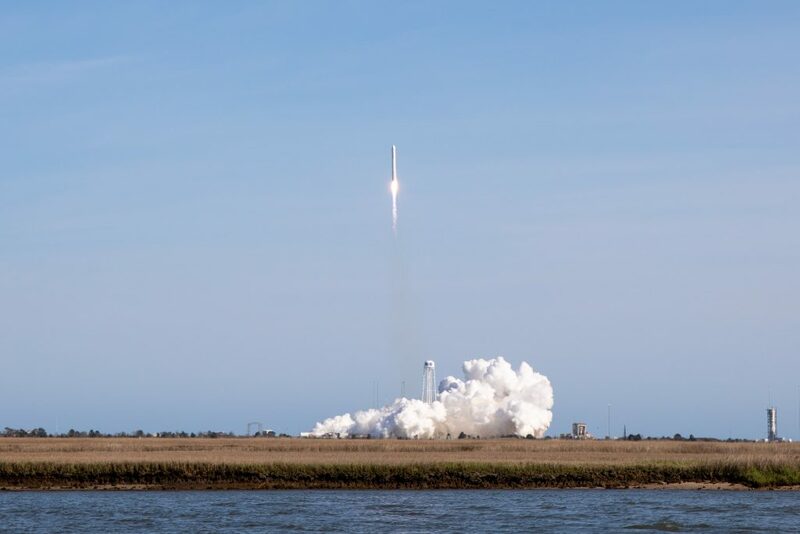 It will arrive at the International Space Station Friday morning carrying about 7,600 pounds of research investigations and equipment, cargo and supplies that will support some of the hundreds of investigations aboard the orbiting laboratory. 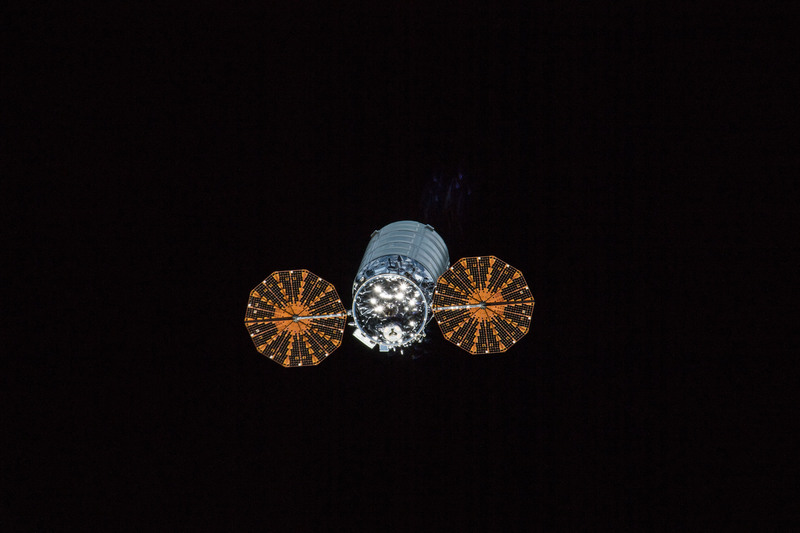 The Cygnus spacecraft will be attached to the bottom of the station’s Unity module, where it will remain for about three months. A postlaunch press conference will take place at 8:15 p.m. on NASA Television and at nasa.gov/live. Learn more about space station activities by following @space_station and @ISS_Research on Twitter as well as the ISS Facebook and ISS Instagram accounts. NASA Television has resumed live coverage for deployment of the Cygnus solar arrays. 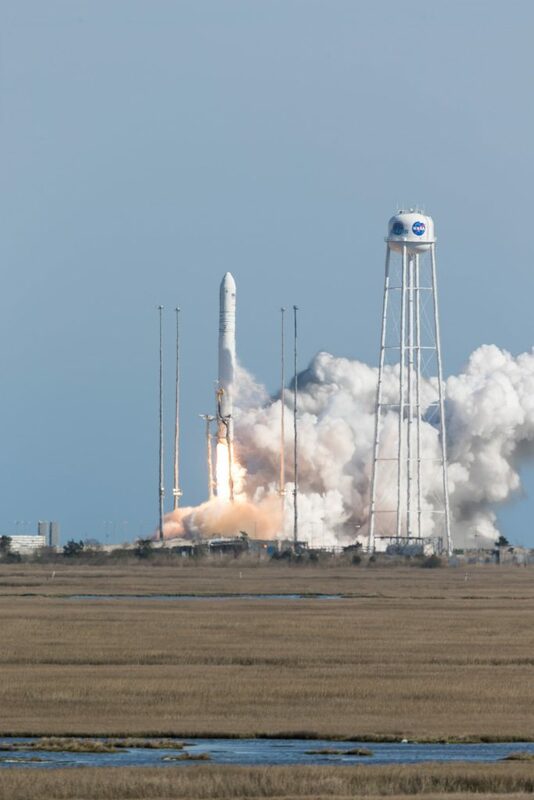 Northrop Grumman’s cargo spacecraft lifted off on an Antares rocket from NASA’s Wallops Flight Facility at 4:46 p.m. EDT April 17. NASA’s commercial partner Northrop Grumman launched its Antares rocket carrying its Cygnus cargo spacecraft to the International Space Station at 4:46 p.m. EDT Wednesday, April 17. Loaded with 7,600 pounds of research, crew supplies and hardware, this is Northrop Grumman’s 11th commercial resupply NASA-contracted mission. 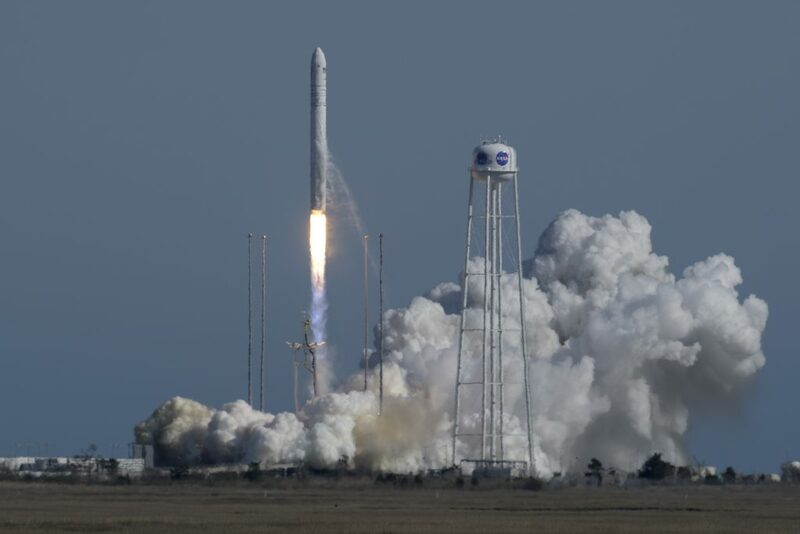 Antares lifted off from Virginia Space’s Mid-Atlantic Regional Spaceport at NASA’s Wallops Flight Facility on the state’s Eastern Shore. Additional images from NASA Headquarters’ Flickr. NASA’s commercial partner Northrop Grumman launched its Antares rocket carrying its Cygnus cargo spacecraft to the International Space Station at about 4:46 p.m. EDT today, April 17. 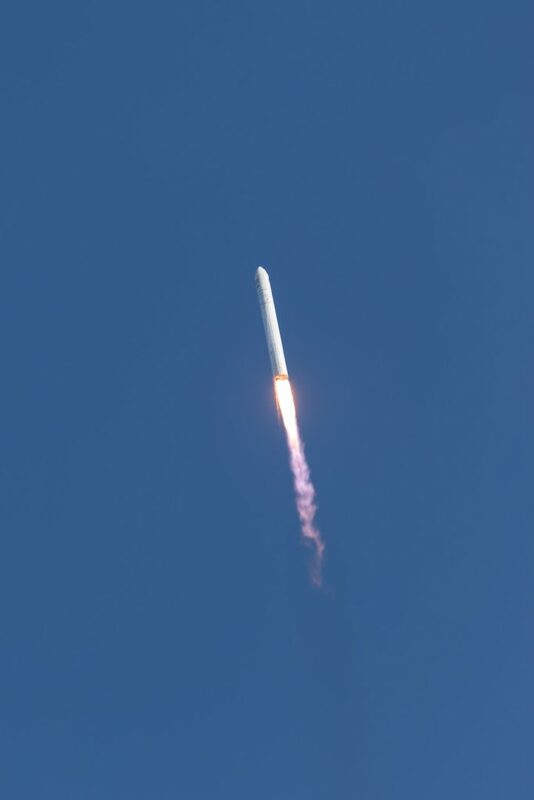 Author Rob GarnerPosted on April 17, 2019 April 17, 2019 Categories Antares, CRS-11, Cygnus, Northrop Grumman1 Comment on Liftoff! 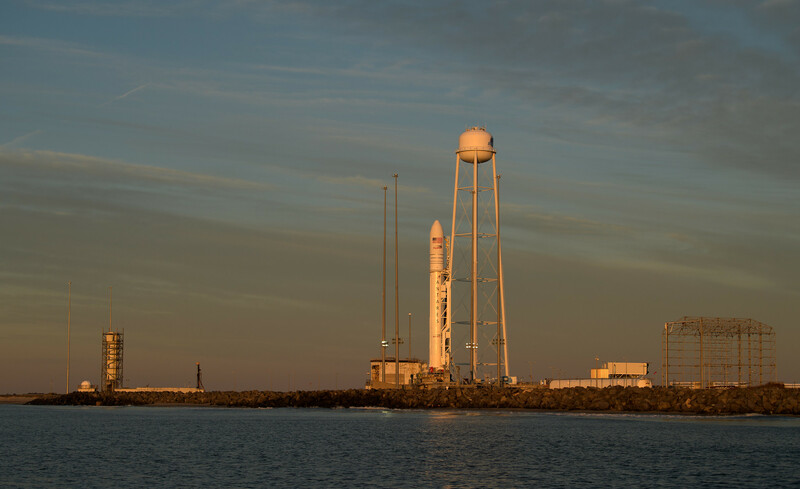 NASA’s commercial partner Northrop Grumman is scheduled to launch its Antares rocket carrying its Cygnus cargo spacecraft to the International Space Station during a five-minute window opening at 4:46 p.m. EDT today, April 17. NASA commentary for the launch will begin at 4:15 p.m. EDT. Loaded with 7,600 pounds of research, crew supplies and hardware, this is Northrop Grumman’s 11th commercial resupply NASA-contracted mission. 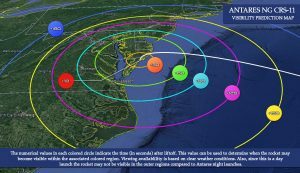 It will launch from Virginia Space’s Mid-Atlantic Regional Spaceport at NASA’s Wallops Flight Facility. 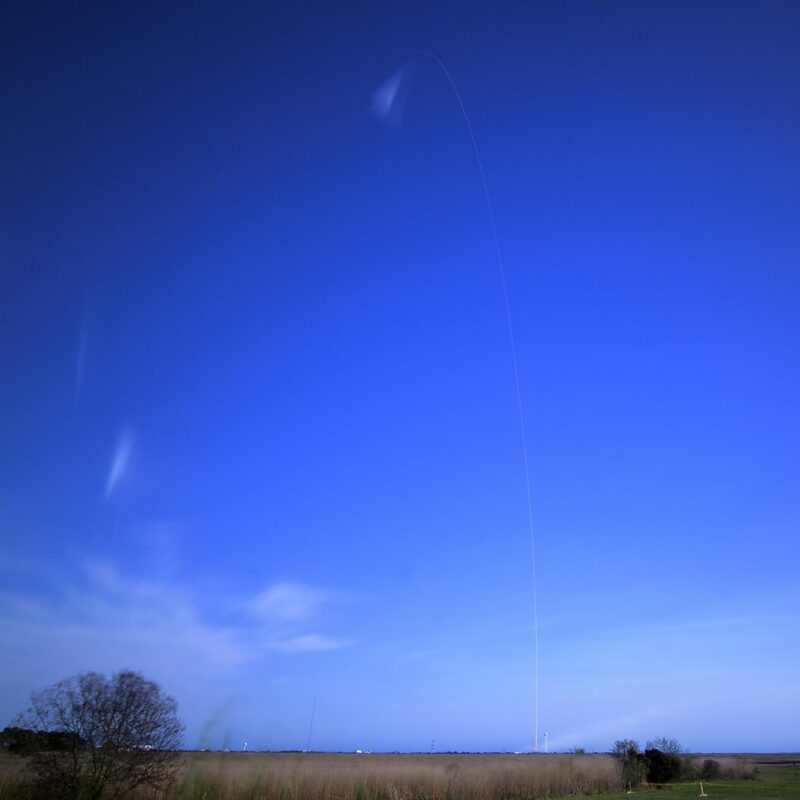 Depending on local conditions, the launch may be visible throughout the Mid-Atlantic region. Local and regional viewing opportunities for the launch are detailed on NASA’s website. 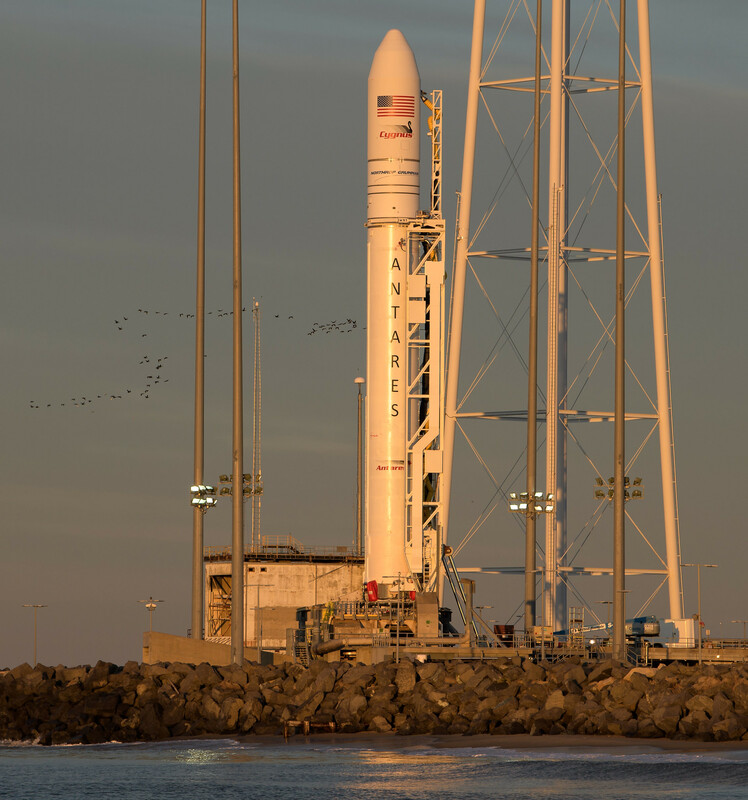 NASA’s commercial partner Northrop Grumman is scheduled to launch its Antares rocket carrying its Cygnus cargo spacecraft to the International Space Station at 4:46 p.m. EDT today, April 17. More images are available from NASA Headquarters’ Flickr. The launch, as well as briefings preceding and following liftoff, will air live on NASA Television and the agency’s website beginning at 4:15 p.m. EDT April 17. 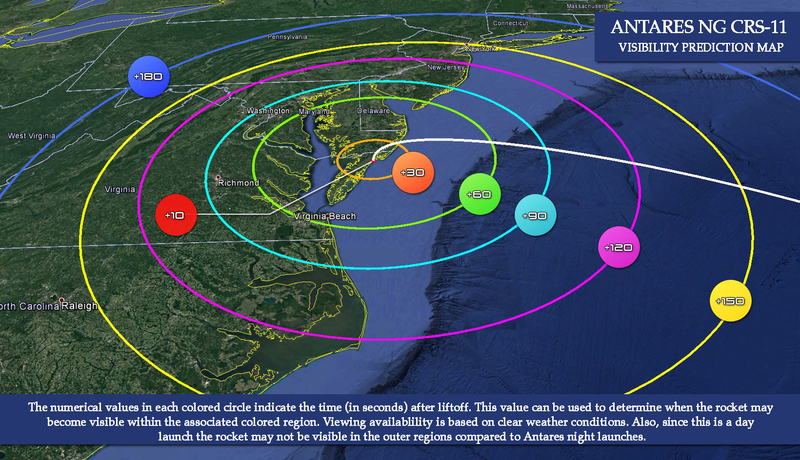 Local and regional viewing opportunities for the launch are detailed on NASA’s website. 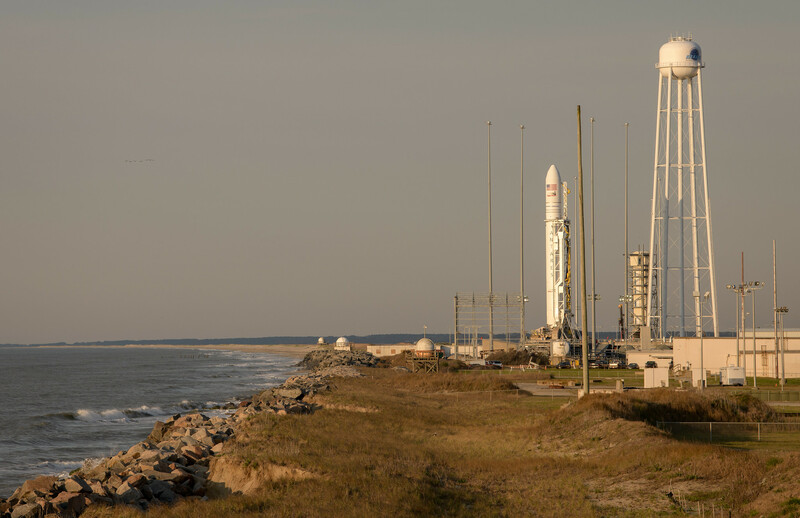 Weather stands at 95% favorable for the April 17 launch of Northrop Grumman’s Antares rocket from Virginia Space’s Mid-Atlantic Regional Spaceport at NASA’s Wallops Flight Facility, according to the latest range forecast. At this time, cloud ceilings and ground winds are the primary weather concerns for a launch attempt on Wednesday afternoon. Loaded with 7,600 pounds of research, crew supplies and hardware, this is Northrop Grumman’s 11th commercial resupply NASA-contracted mission. 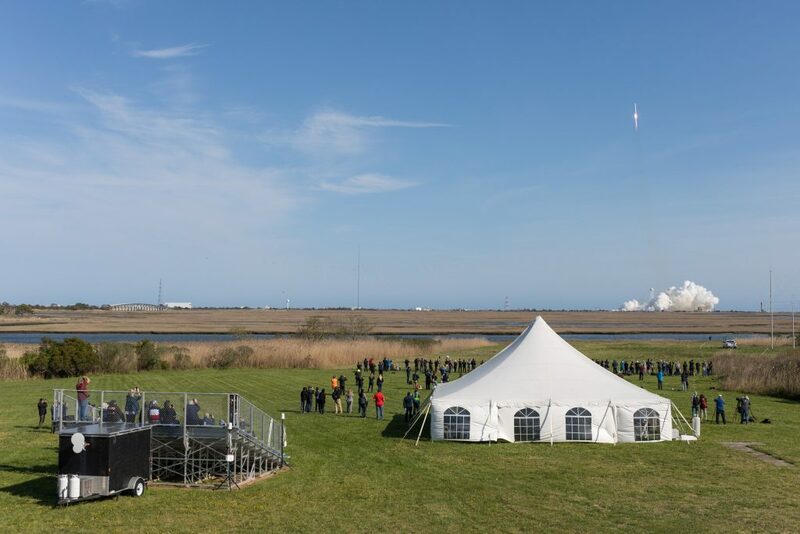 It will launch from Virginia Space’s Mid-Atlantic Regional Spaceport at NASA’s Wallops Flight Facility, on the state’s Eastern Shore. 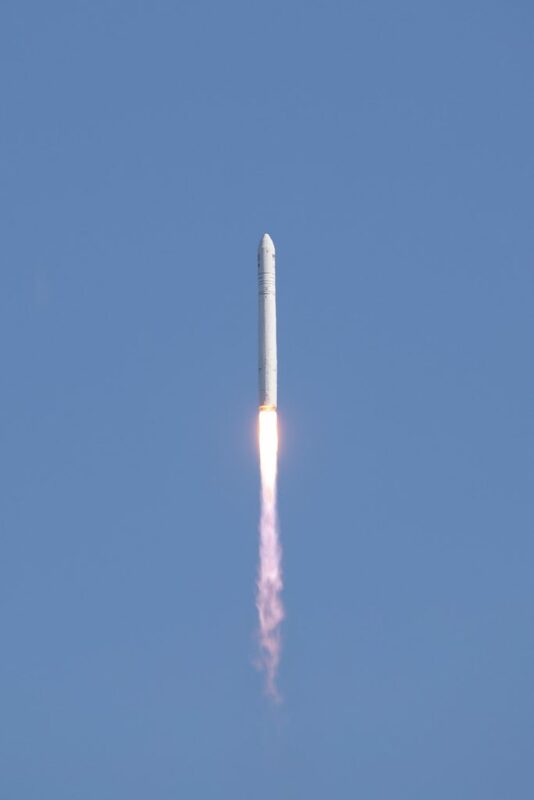 NASA’s commercial partner Northrop Grumman raised its Antares rocket into vertical position the evening of April 15. 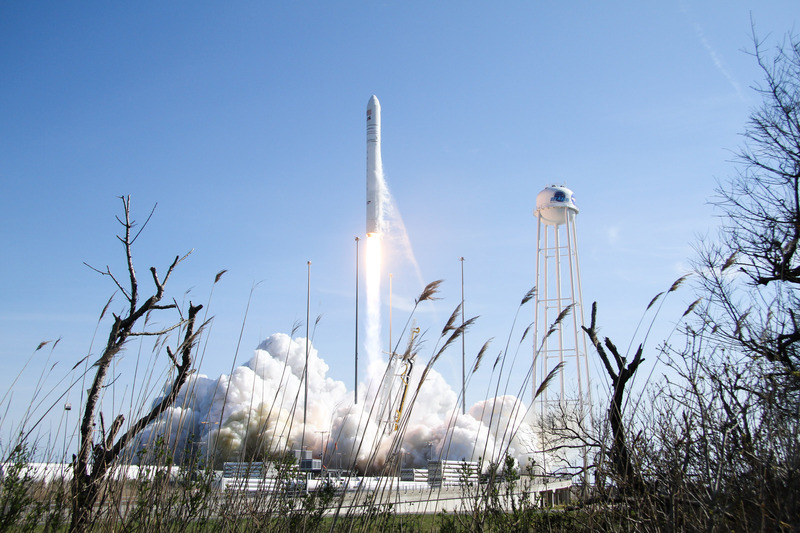 The Antares rocket carrying its Cygnus cargo spacecraft bound for the International Space Station is scheduled for launch at 4:46 p.m. EDT Wednesday, April 17.